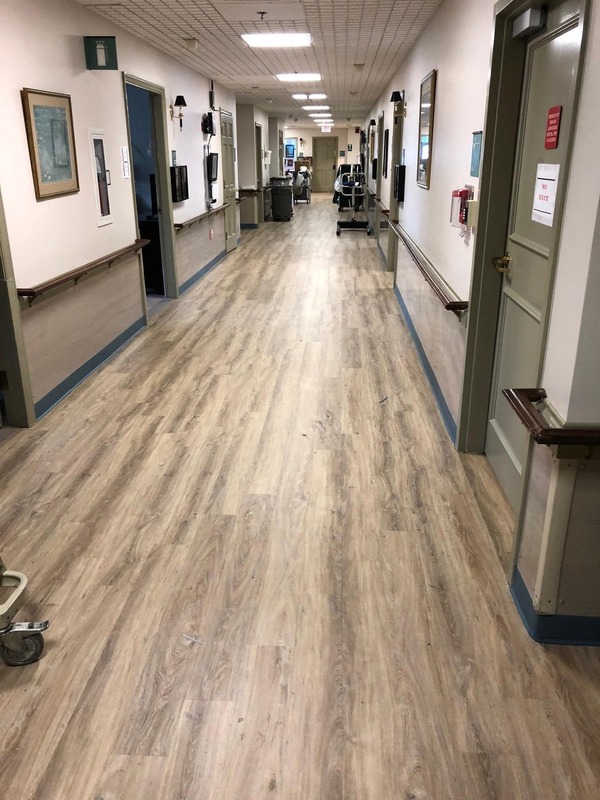 Shiretown recently renovated the main hallway at the Windemere Nursing home at Martha’s Vineyard Hospital. 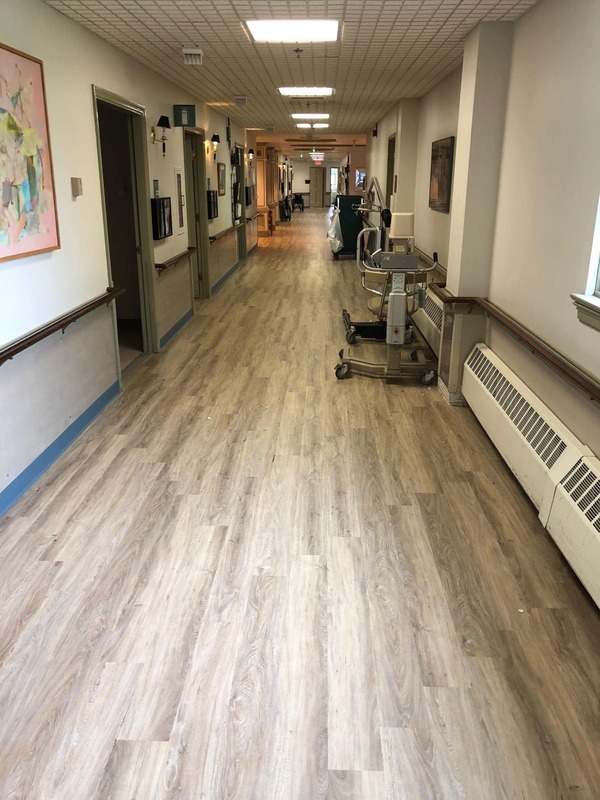 We tore up and removed over 5000 sq ft of carpet tiles, we supplied and installed 5000 sq ft of Castletown Luxury Vinyl Tile – Carbonized Gray Armstrong luxury plank. See our Samples of the finished product below. 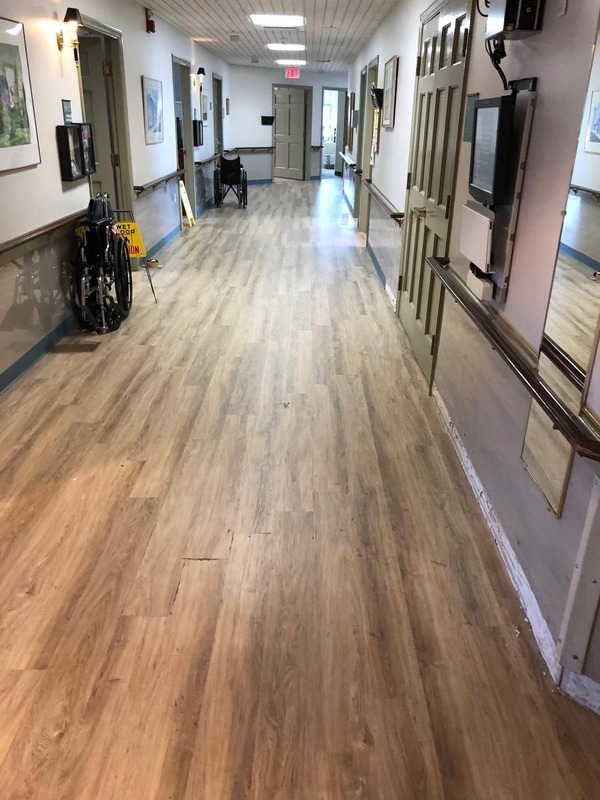 You’ll see it in the vibrant colors of your office lobby, the durable aisles underfoot at the supermarket, and the beautiful hardwood foyer that welcomes you back home. 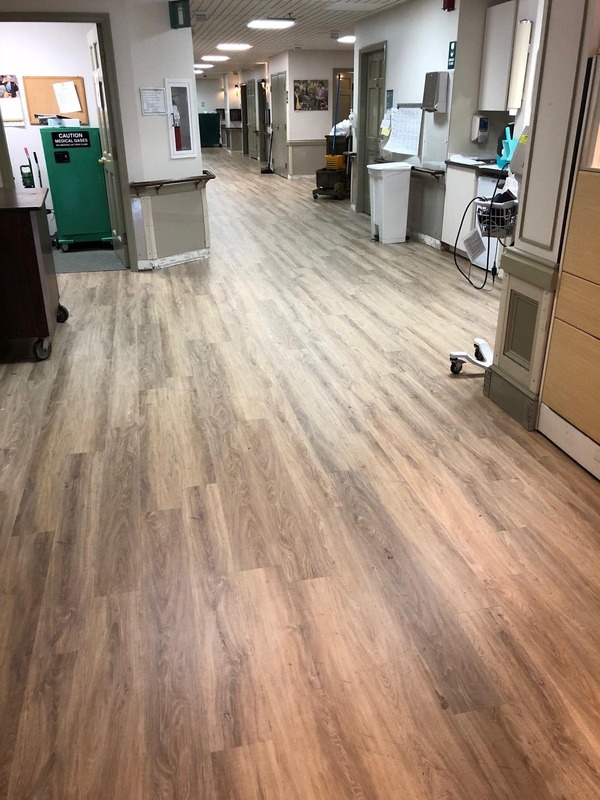 That’s Armstrong Flooring. They develop products that inspire spaces where people live, work, learn, heal and play. Mayflower Carpets is Shiretown Glass and Home Center’s partner for all your flooring needs.